MIPS has strong roots in TV and STB, but is fast losing the race even in these markets. Most of the LCD TVs produced so far use MIPS cores, and this includes SoCs made with 45nm or even 40nm. The biggest problem for MIPS is to reconcile with the fact that they are not the market leaders ..and cannot afford to model their business(or behavior) on the lines of Intel. So it is heartening to see MIPS start at the bottom - and try to get into commodity mobile / tablet business rather than try flirting with the big guys. (Perhaps they tried the latter and failed?). Secondly, MIPS needs to get into good books with Google and prove that Android works just as well on MIPS. However they cannot run with the hares and hunt with the hounds at the same time. Depends on your application allot, MIPS might not have much going for it in the mobile space now days and did certainly lost out a bit on the mobile gpu front (although many of the current techs where developed for the mips market). They could still very well hold an advantage in specialized applications because the vendor has strong SDK's and platforms built around it which is certainly lacking in the ARM-space still. That said they need Android and or Google TV and other smart platforms not to be pushed out of the space. 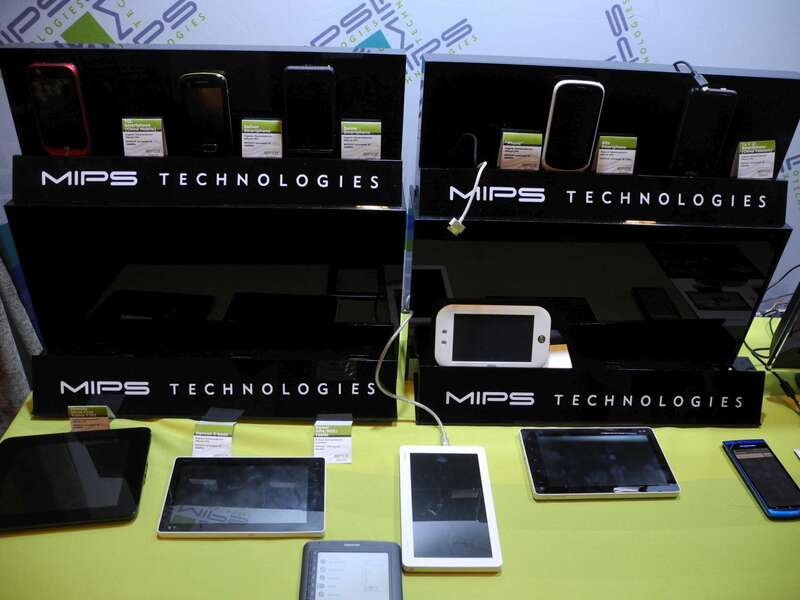 MIPS is still powering plenty of CE and communications/enterprise systems. That vendors like Ingenic with Xburst is quite low end doesn't mean any mips implementation needs to be. It's certainly mass market products that drives both MIPS Technologies and ARM Ltd for that matter, which means not all SoC's will be top of the line. Although PowerPC is also strong in the automotive business as is MIPS it's hard to compete against say ARM7 microcontrollers. There are clearly different strengths. It seems like not much uses them anymore. Sony did with the Playstation 1, 2, and Portable, but switched to PowerPC and ARM. Tivo switched from PowerPC in the Series 1 to MIPS in the 2, 3, and 4, but I don't really know what else uses them. I think a lot of the home routers (e.g. Linksys E-series) use MIPS-based Broadcom SoC's.